BullGuard Premium Protection 2019 is a complete, simple to use security suite. It protects up to 10 Windows, Mac or Android devices against malware, identity theft, financial fraud, online data leaks and keeps your children safe on social networks. It is based on the BullGuard award-winning security suite that safeguards you from online threats like hackers, spam, viruses and spyware. 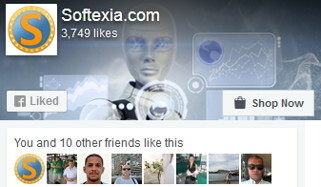 Now has new, unique features that give you the very best Identity Protection and Social Media Protection. BullGuard Premium Protection 2019 with simple and intuitive interface provides the top-rated antivirus protection, as proven by independent test labs. Safeguard all your personal and financial information. You will get email and SMS alerts the minute as BullGuard detects your information has been stolen or compromised. Also BullGuard Premium Protection 2019 lets monitor your children’s social media activity and alerts you to inappropriate behaviour. In addition, the security suite includes 25 GB of Online Backup to secure your most valued files and FREE PC Tune Up to keep your PC running fast. IMPROVED Next Generation Anti-Malware: Intelligent triple layer protection that’s constantly alert for intruders. SUPERCHARGED Game Booster: (Patent Pending Technology) Ensures noticeably smoother gaming without any lag. Optimises CPU performance while blocking pop-ups and other annoying interruptions. IMPROVED Vulnerability Scanner: Vulnerability scanner that track security updates, flags up connections to insecure Wi-Fi connections and prevents applications that could contain malware from downloading automatically. IMPROVED Home Network Scanner: Every device on your network is a potential back door, giving bad guys access to all your devices. Our Home Network Scanner proactively assesses your entire network and every device on it 24/7 for vulnerabilities. Firewall: This new firewall keeps your PC performance at the highest level and it offers control and protection of the networks’ internet traffic. Removing Spam Filter: Today filtering junk emails is a central feature of most email services. It never used to be. Consequently we’re leaving filtering to your email provider but will continue to scan your emails for threats and malware as we always have. Identity Protection. BullGuard monitors the web, social networks, as well as stolen and compromised data sources. Simply register your usernames, email and postal addresses, phone numbers, credit card numbers. We’ll immediately alert you via email and SMS, and provide you with advice on what to do next. PC Tune Up. Let BullGuard’s PC Tune Up improve your computer’s performance by cleaning out old files you don’t really need and fix the issues that might be slowing it down. Safe Browsing. Surf the entire World Wide Web in full safety. BullGuard checks all the links that come up in your search results and on your Facebook page. Then flags the ones that lead you to malicious websites. Windows 10, 8.1, 8, 7.